As construction on the North canopy completes, the South roadway will become the focus of canopy building efforts. Roadways closed during North canopy work will soon reopen, while portions of the roadway leading to the South Terminal will temporarily close. The vast majority of construction will take place overnight, but late-night passengers – either departing or arriving – utilizing the South roadway may see traffic impacts. The South Terminal upper roadway will close between 9:45 p.m. and 5 a.m. All traffic heading to the South Terminal will be directed to the lower roadway. Passengers are urged to seek alternate locations for drop-off or pick-up. All North roadway lanes will soon clear, providing an ideal alternative. Drivers are encouraged to use the North and South hourly lots to collect arriving passengers. The lots, immediately adjacent to the terminal, offer quick, efficient pick-ups that avoid traffic. 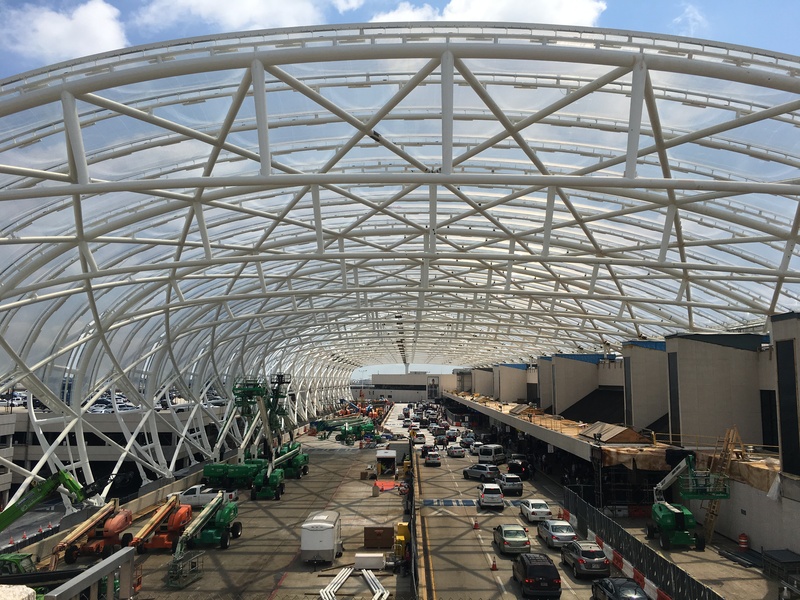 Additionally, passengers are urged to allot extra travel time for to ATL during construction periods. We will continue to deliver traffic updates on atl.com and ATL’s social media pages.